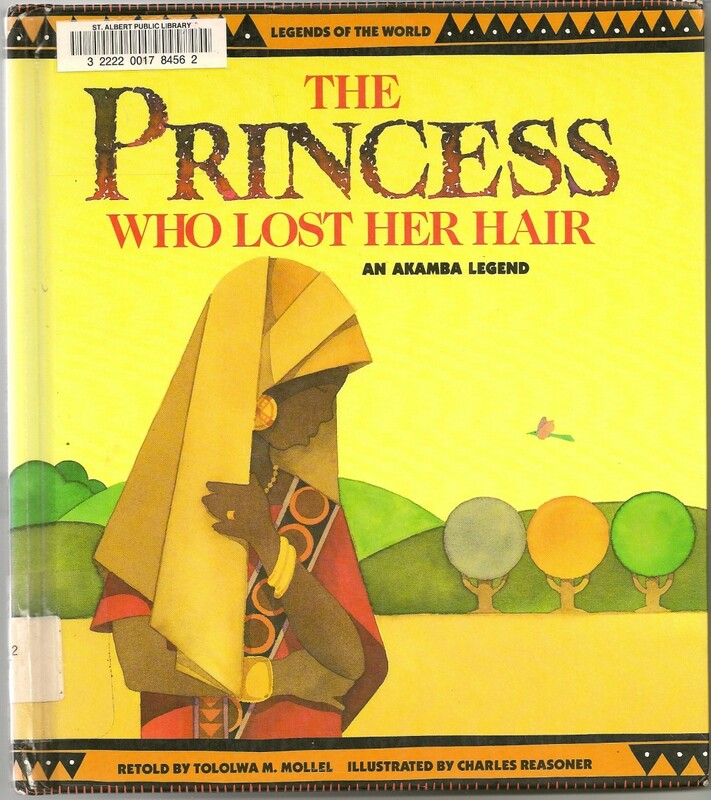 This folktale adapted from the Akamba people of East Africa is about a vain princess who refuses to show kindness to a bird building her nest. She says no when the bird asks for a strand from the princess’ long hair. This refusal brings drought and famine to her kingdom and a loss of the princess’ beautiful hair. In the midst of this famine, a beggar boy called Muoma sets off to find the bird. For sharing his food, water, and strength with an ant, a flower, and a mouse, respectively, he is rewarded. He is enabled help to assist in bringing the drought to an end and to help the princess to regain her hair. In gratitude, the chastened princess marries Muoma. There once was a king who had one daughter. She was his pride and joy for this princess had the loveliest hair in the world. Every night singing maidens wove her hair into magical plaits to make it grow longer and lovelier still. Each morning, with the plaits undone and her hair adorned with gold, her handmaidens held her hair up off the groung as the princess strolled from the place to be admired by her subjects. One day, as the maids were tending the princess’s hair, a large bird landed on the garden wall.